The LVU-A710 Series has been discontinued. Please see the LVSW-710/LVSW-720 as a possible alternative or contact our Flow Engineering department. 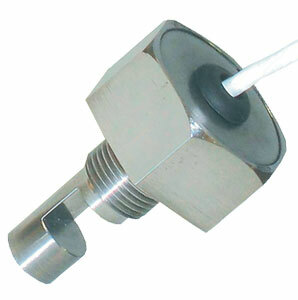 The LVU-A710 Series compact solid state liquid level switch is a great replacement for mechanical float-type liquid level devices. The switch employs proven ultrasonic technology and solid state integral electronics in a small package. The LVU-A710 Series provides reliable operation in virtually any liquid, regardless of viscosity. This eliminates problems of stickiness and failure rate due to finite mechanical life inherent in the mechanical float design. The combination of fully epoxy-sealed electronics and ultrasonic sensing technology will provide years of maintenance-free service.